Miniio Dollhouse – the perfect home for Barbie, Blythe and friends! So you’re a design buff. 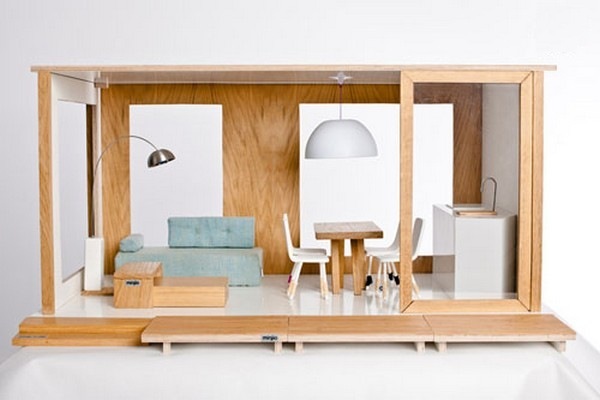 You don’t want a twee dollhouse cramping your decor style but the kid reeeally wants one? 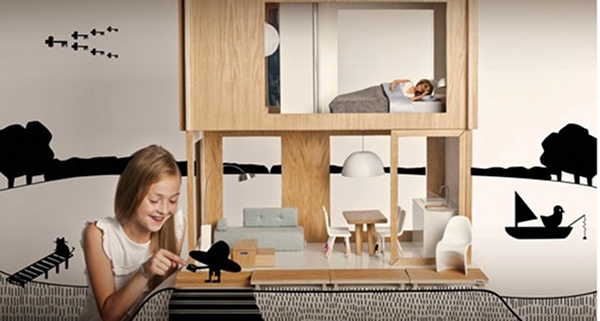 Meet Miniio, the wee house sensation for kids that’s all the way from Poland! You won’t be objecting to this beauty making its debut in your carefully specced home. Miniio is a company which makes small things but has big plans; making beautifully-designed things at an affordable price. To make this possible, they’re looking for an Australian distributor. The house with dolls and furniture comes in at around AUD$500, but shipping from Poland costs even more again, so we can only hope this gorgeous piece is snapped up by a savvy distributor. Each house and its contents is handmade from non-toxic materials including wood, stone and metal. Miniio was started by a few mums who have boys and wanted to get into some serious girl play due to lack thereof. Maybe that’s why I love my Blythe dolls so much! This house fits your garden variety 30cm fashion dolls so even Barbie can live in designer luxury. These are available from Miniio with quite a large shipping price of around $250 from Poland. We’ll update you when Miniio find a local distributor for this divine piece. To see a few more of our favourite Babyology dollhouses click here.